Provider of investment services and fintech platforms, Praemium (ASX: PPS) has turned around a $2.1 million loss in fiscal 2015 to record a profit of $0.8 million for fiscal 2016. Morgans CIMB analyst, Ivor Ries noted that underlying net profit of $1.9 million was ahead of his expectations of $1.8 million, prompting him to upgrade the group’s price target from 49 cents to 57 cents while maintaining an add recommendation. PPS listed on the ASX in 2006 and has slowly been building its position in the funds management industry with Ries stating that its separately managed account (SMA) technology is widely regarded as one of the best platforms available. The following table demonstrates the slow but steady build that has occurred since 2011. Judging by management’s comments regarding the year ahead, PPS is well-placed to continue the growth momentum achieved in fiscal 2016. Chief executive, Michael Ohannessian said, “The financial services market, particularly in Australia, continues to embrace SMA platform technology at an accelerating rate and as the market leader in this sector PPS is well-placed to benefit from advisors shifting from wrap platforms to SMA”. Ohanessian also highlighted that its international platform business had continued its strong growth momentum, particularly in the last two years, resulting in the narrowing of operating losses. 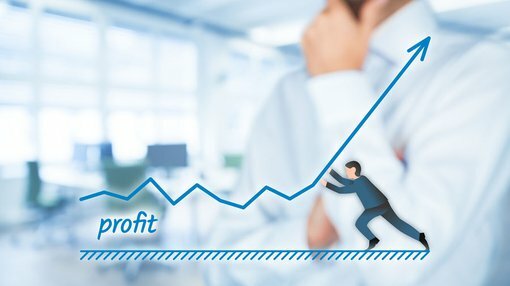 A transition to profitability is now a near term proposition, suggesting PPS may be one of the less risky fintech plays, particularly when weighing it up against new entrants with little earnings visibility that have joined a relatively crowded space. The fact that the company has increased its funds under administration by 23% in fiscal 2016 augurs well for the future. Furthermore, the global SMA platforms achieved record inflows. The company’s proprietary V-Wrap portfolio administration software was enhanced, including the launch of self-managed super funds compliance and reporting. 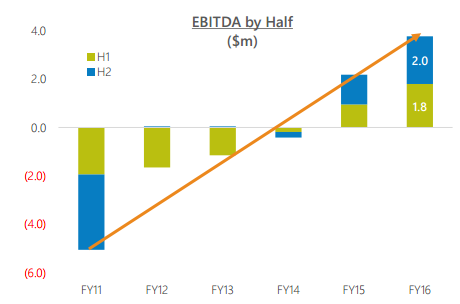 In making positive changes to PPS’s forward earnings estimates, Ries noted the recent new V-Wrap account win (JB Were) in Australia, and he expects the company will use its relatively robust balance sheet continue to invest in this technology to make it more competitive in the self-managed superannuation accounts segment. PPS’s shares appeared to gain momentum ahead of yesterday’s result, increasing circa 10% from 36.5 cents on August 10 to close at 40.5 cents on Monday. Ries’s price target implies upside of 40% to yesterday’s closing price. It should be noted that earnings forecasts and price targets are projections that may or may not be met, and that share price fluctuations are not an indicator of future performance. As such, these factors should not form the basis of an investment decision.